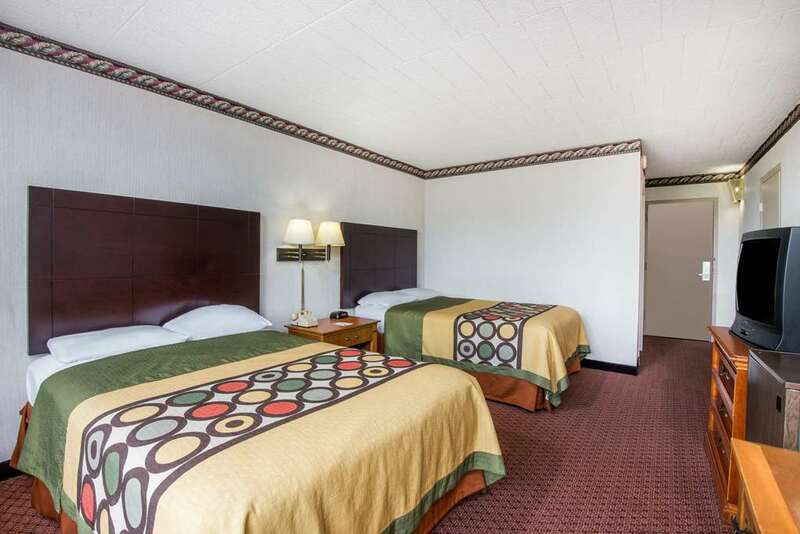 This 91-room, 4-floor, Super 8 is located in Erie, PA just off of Exit 27 on I-90 South. The property is conveniently located near the Interstate which allows for easy on and off access for your traveling needs. Ample parking is available for family vehicles, RVs and Busses - no 18 Wheel Tractor/ trailers. Within minutes of the property you can enjoy such attractions as the Millcreek Mall, Peak Ski Resort, the beautiful Presque Isle Beaches and much more. We are a member of OMCA and all bus tour companies are welcome. During your stay at the Erie, PA Super 8 you can enjoy such amenities as our free continental SuperStart Breakfast served fresh everyday, our seasonal outdoor heated pool, Free High Speed Internet Access, the guest laundry room facilities and 25-inch TVs with cable including HBO/ESPN/CNN. The property has microwaves, micro-refrigerators, ironing boards and irons in all rooms. Our staff is dedicated to provide excellent service with clean and comfortable accommodations and we look forward to seeing you soon. Pets are not allowed. The Super Erie is the closest hotel to the Presque Isle Downs Casino. The Super 8 offers a Complimentary Casino Shuttle - call property for hours of operation. Contact the Front Desk for more information. Additionally Mercyhurst, Penn State-Behrend, and Gannon are all in close proximity to the hotel.